WordPress is awesome. It’s giving me the opportunity not only to like someone else’s blogpost, but to repost it in mine as a way of honoring the one who wrote it … and spreading the beautiful word. This poem, “Spring” was written by Billimarie at Typewriter Poetry — and I truly love it. I have been thinking about Japan daily and praying for the people there, especially those trying to contain the fall-out from the nuclear reactors damaged by the tsunami. This poem was written for them. I hope you, dear reader, like me, can see the beauty in this tribute. (Right after you read the prompt, click “read more” and you will be directed to “Spring” … ) Selah! April is a beautiful time to celebrate poetry for life … and it’s National Poetry Month! So how can we enjoy it? 1) Read poetry this month. Read a poem-a-day! If you’re a poet, try writing a poem-a-day, too. It’s a worthy challenge! 2) Thursday, April 14th is Poem-in-your-Pocket day! Pocket your favorite poem and then share it throughout the day with the people you know. For more ideas about how to share poetry on April 14th, check out: Poem in Your Pocket Day. 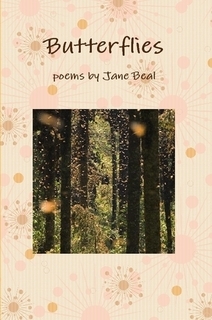 *And you can visit Jane Beal at Lulu Press to preview and purchase poetry, in printed or eBook format, including the latest collection, Butterflies. Enjoy, enjoy! Happy National Poetry Month to you & yours! 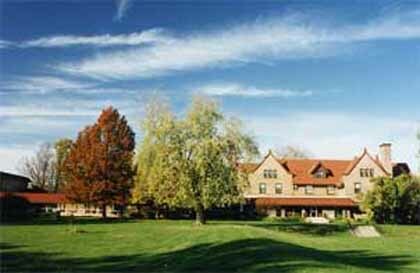 On Saturday, I visited the Loretto Convent in Wheaton to share a silent Lenten retreat with friends from Church of the Savior. This is the second time I have gone there, and I truly love it. I thought no place could have as powerful an impact on me, in times alone with God, as the Cenacle (a retreat house near here that has recently closed its doors) but the Loretto Convent is a very special spiritual place. I was reading online this morning about the Institute of the Blessed Virgin Mary, which founded and helps to maintain the Loretto Convent. I read the testimonies of sisters. When they make their final profession as sisters, pledging poverty (interdependence), chastity (community as primary relationship) and obedience (full participation and accountability in the spiritual life shared together), they choose a motto. This motto is inscribed in a ring they wear all their lives. As I read these mottos, I was struck by how beautiful and poetic they are, like lines of poetry. Most of them come from scripture; others are paraphrases of biblical ideas. How beautiful the first! This one comes from the Song of Songs. To read others, and the stories that go with them, visit: IBVM Sisters: Archives. May your heart be blessed by what these women have chosen to do with their lives in response to their calling. My favorite song on the radio these days is “Colgando en tus manos” by Carlos Baute (Venezuela) and Marta Sanchez (España). It is so-muy-romantico! These two singers have brought life back to the male-female duet. Wish two someones would do the same in English! To that hopeful end, I’m sharing my own idiomatic translation of the song. I want the translation to be at least half as beautiful as the Spanish, so I can’t give a literal rendering. That’s like locking a song in chains and refusing to acknowledge that poetry must be free! But for those who must have word-by-word — and I understand you because that’s where I always start — there’s a link at the bottom of this page. To hear the song on YouTube and read the lyrics in Spanish, click Colgando en tus manos. You could even open the YouTube video and listen to the Spanish song while you read the English translation below! When I was translating, that’s what I did. and awaken to your kisses. I know that soon we will be one. Your playful smile lives with me! I know that soon I will be in your path. and the time we were in Venezuela. I don’t care what destiny says or does! and to drink from you what’s forbidden now. take care, be careful! Very careful, careful. take care, be very careful! your lips, your love, what’s forbidden now. all of you, tenderly, the center of my eyes, the one I need for life. Three great Irish poets are W.B. Yeats, Seamus Heaney, and Galway Kinnell. I’ve posted poems by all of these men in times past — I love their lyricism and their vivacity! (~ even when things are sad or death comes — that is one of the strengths of the Irish — to be alive, lyrically and musically, no matter what). Happy Saint Patrick’s Day, friends. The calling afar of the doe and the deer. In the bosom afar of the fragrant wood. It is a day after many days of storms. visible against the firs douses the crocuses. We knew it would happen one day this week. and I think: How could it not have been today? to make the stalks lie down in sunshine. now and then by hope that had that leaden taste? your beloved in a day like paradise? Near sunrise did you loosen your hold a little? he would not feel a single word was missing? it must have seemed, all your life? which presses itself to yours from now on? plane in the distance that no one else hears? Postscript: To hear Galway Kinnell read a wonderful poem, click: Oatmeal.